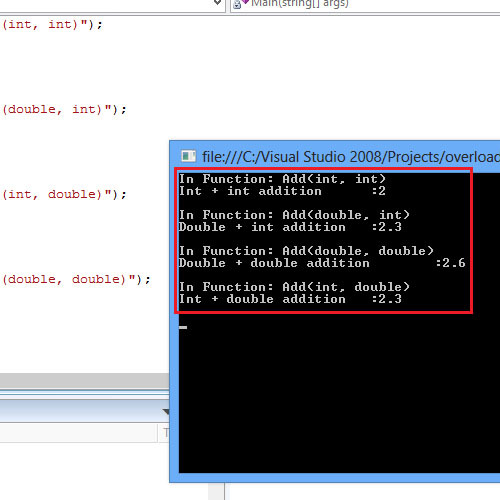 The following code shows the use of method overloading in C#. 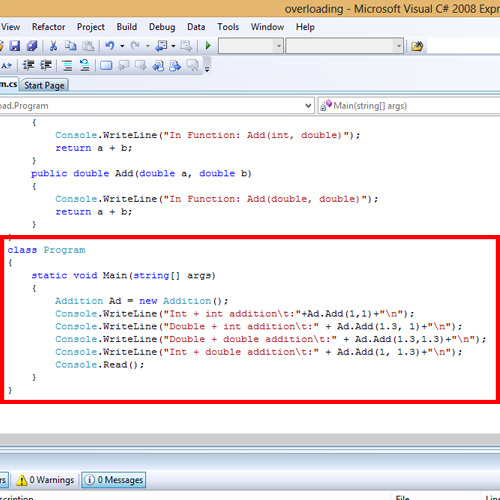 In the code, the Add() method is overloaded. 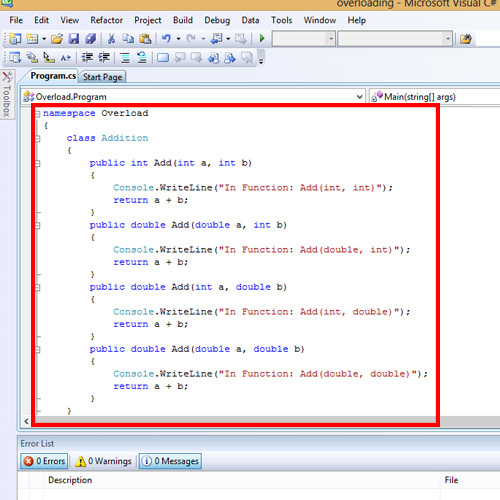 The Add() method is initialized four times and each time the signature of the method varies. Depending on the parameters being passed, the respective method with the respective signature is called. It is the run-time decision of the compiler. When the add() method is called from the main method, depending on the parameter data types, the respective add() method will be called. Thus the first method call has 2 integer parameters and this invokes the add() method that takes in 2 integer parameters. The following method calls the respective add methods(). When the method is called in the Main method, the compiler finds the best fit, depending on the parameters of the function call. Thus, when Add(1, 1) is called, the compiler searches for a method that has the signature (int, int) respectively. Note that in overloading methods in C#, the signature of the method does not include the return type. Thus the compiler will not check for the return type of the methods and it may result in error.